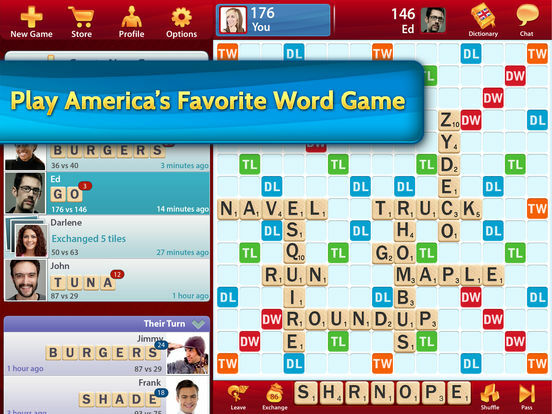 There’s just something about those classic word games that is so wildly addictive and fun, and it doesn’t get more classic than the game of Scrabble. 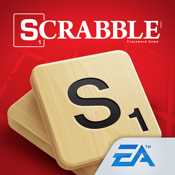 Now you can enjoy this popular board game on your mobile device thanks to a wide variety of free Scrabble iPad app offerings and some paid ones that are just waiting to be checked out. Whether you’re looking for a quick game or you’ve got some time to kill, these offerings are sure to keep you entertained. 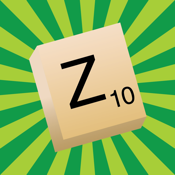 Sure the Zarf app may have a particular name but don’t let this fool you as this free Scrabble app for the iPad is the ideal companion tool for your scrabble game. 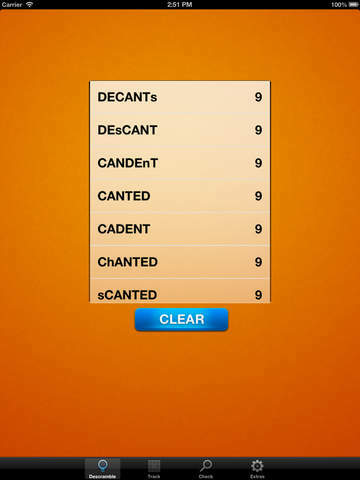 With this app you’ll be sure to rack up the high scoring words. 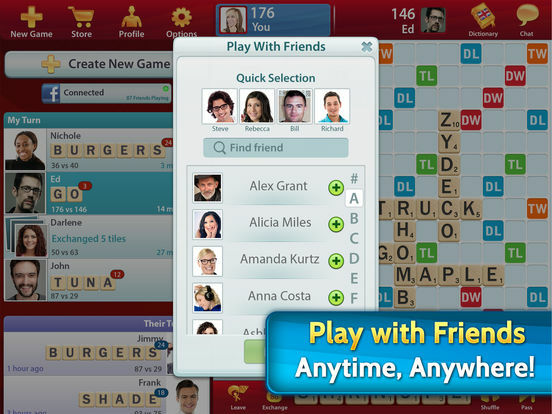 Explained as a "utility app" for Scrabble, it supports a wide range of languages. 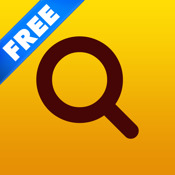 Use this app to discover pattern matching, gives you the ability to lookup words, using the search panel, and more. Additional features include the clock panel that countdowns for you and even has an indicator light letting you know the time is up. The judge panel is another helpful tool to determine if your word is acceptable. 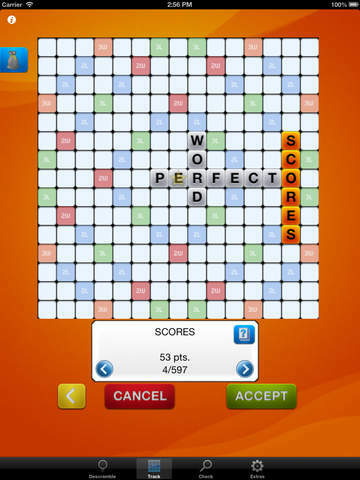 If you're tired of always getting the low scores in Scrabble, then it's time to check out this free Scrabble app for the iPad. 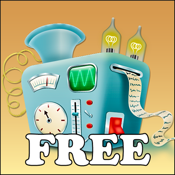 The Wordsolver Free app helps you to figure out the best word for you to play.There's no need for you to scramble and try to come up with that perfect word when you can type in 15 letters into this app and it will find the best words for you. It can find words you likely would never have thought of. 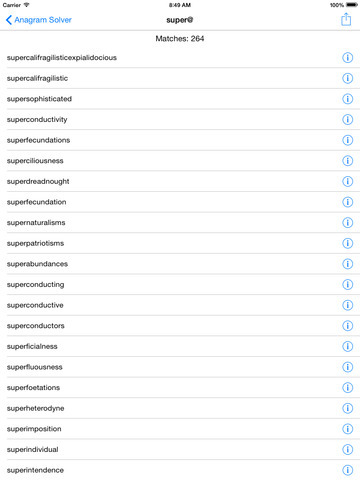 There are filters you can apply, it supports US and Canadian word spelling, and is extremely fast. When you're in the middle of a heated battle of Scrabble and you're trying to figure out if the word you want to play is in fact a real word, or maybe you're just trying to find a word, an anagram finder and dictionary is just what you need. That's where the Word Lookup Free app comes in handy. 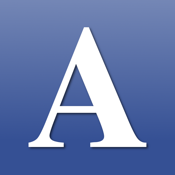 This is one of those incredibly important Scrabble companion tools that you'll wonder how you got by without it.The app features more than 170,000 words in the build in dictionary as well as the definitions, it also features an anagram finder, and there are helpful lists that provide you with quick information. 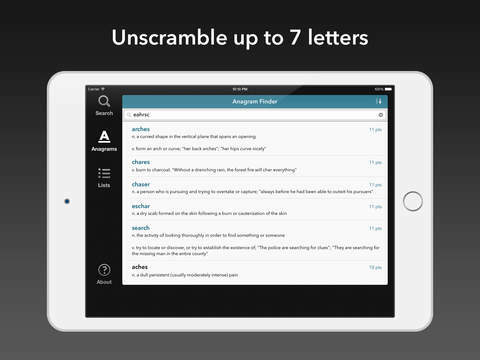 Do you enjoy trying to solve anagrams, but have a hard time doing so? Maybe you have come across an anagram that’s really tough to solve. 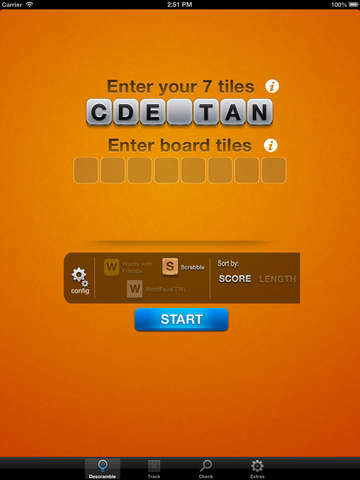 This app will help you solve anagrams, crosswords and even beat your friends at Scrabble or Words with Friends. It provides lightning fast results. All you have to do is enter the word and it will list all the words made up from those letters. 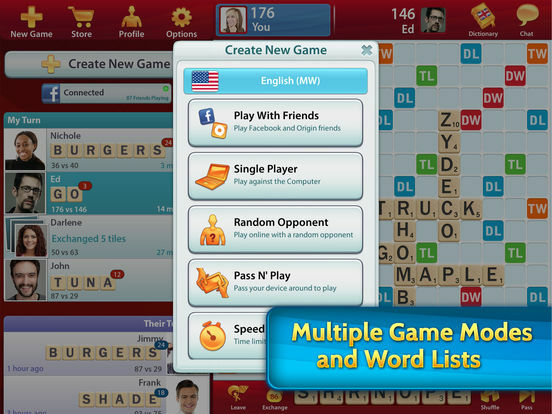 You can use blank letters for assistance with Scrabble or Crosswords, view definitions of words, swipe tips for reminders of features and more. 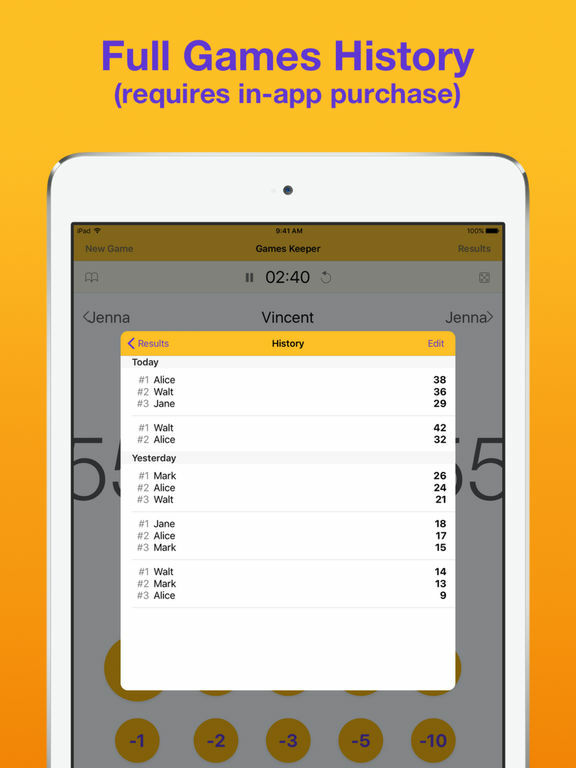 There is an in-app purchase for the Pro Version of this app. Do you ever just sit there and look at the letters you've been given in your Scrabble game and wonder what in the world you're going to do with them? 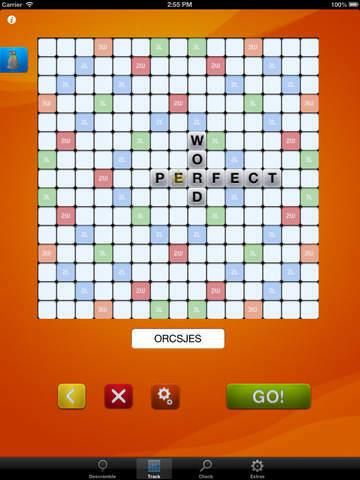 Even the best of us get stumped sometimes, which is exactly why this free Scrabble app for the iPad is the perfect weapon. The Descrambler app does just that, it takes your letters and descrambles them and makes words you can use. 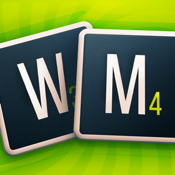 Described as a “word game solver” you’ll never find yourself stuck again. 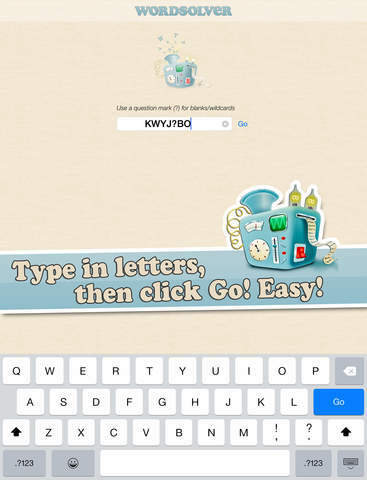 You'll need to enter in all seven of your letters and then the app will take it from there. 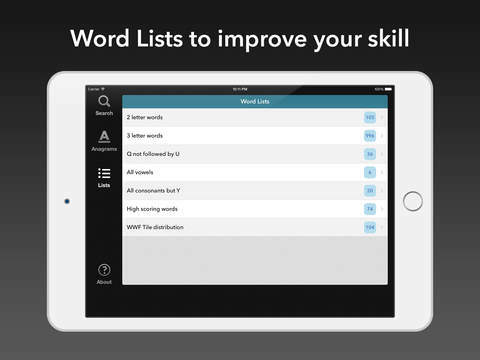 You will be given all kinds of possible words you can use since this app has a built in dictionary with 180,000 words. 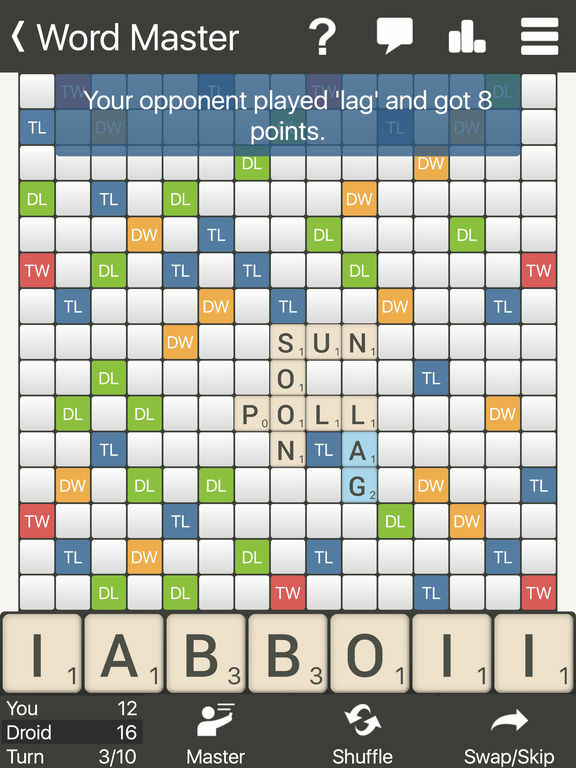 Now that we've covered a number of free Scrabble iPad app companion tools, it's time to give a shout out to the game itself. 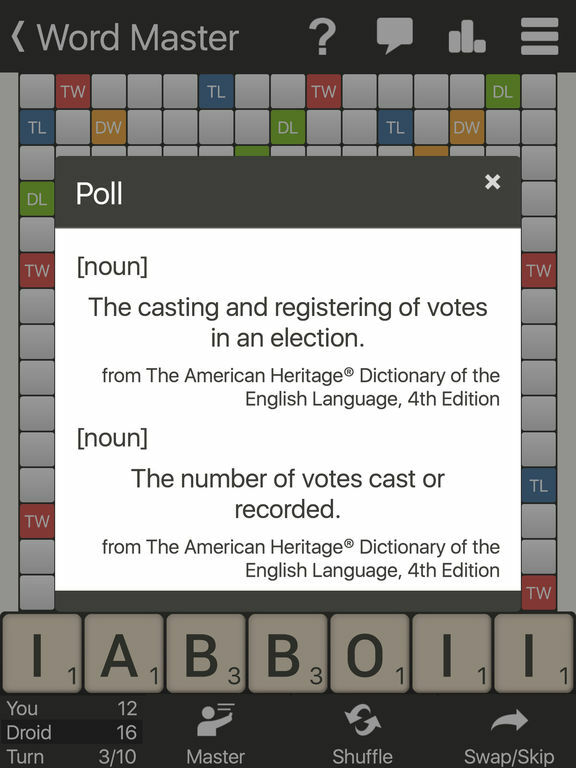 If you’ve been playing the board game version it’s time to switch to the mobile option with the official SCRABBLE for iPad app. The app lets you play with others from around the world and supports a wide range of languages.You've got the choice of playing against random opponents or your friends/family on Facebook. There is even a solo mode which is great for building your skills. For those who really can’t get enough of the game, feel free to have a number of games going all at once. Here's the ultimate way to keep track of your score in Scrabble and other board games so that your bragging rights will be accurate. 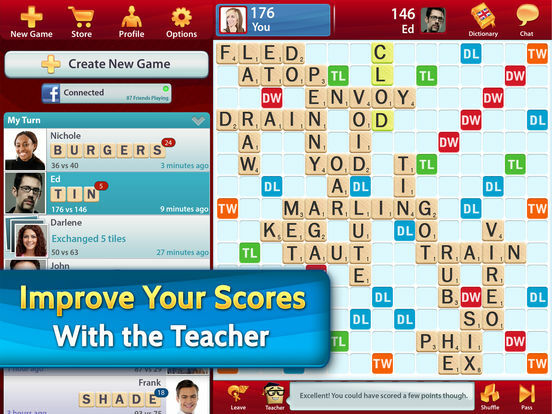 The Games Keeper app certainly falls into the category of a free iPad Scrabble app as you can keep track of every game you play. 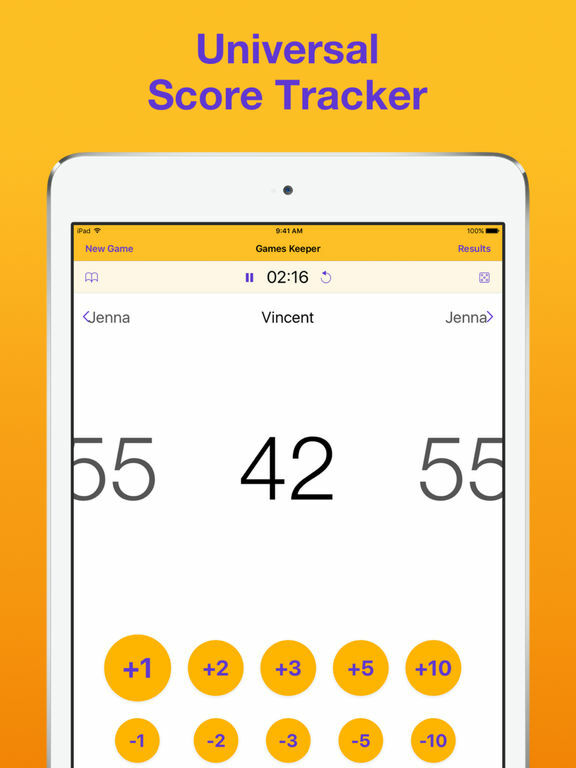 Create your own score sheets with charts and ranks for as many players as you like.The app is super easy to use and even has a built in dictionary, which can come in real handy.This is a great way to track improvement, which will help to motivate you. 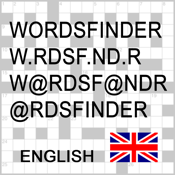 Thanks to the English Words Finder PRO app there's no need to carry around a dictionary with you just so you can enjoy a game of Scrabble. 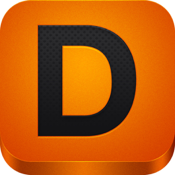 This app is ideal for not just Scrabble but other word-based games. 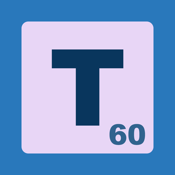 There are just under 600,000 words to be found in the built in dictionary as you can check spelling, get definitions, copy words, Tweet them, find anagrams, and so much more. You don't need to have an Internet connection for the app to work, and you can sort your results for greater ease of use. Your friends are going to be left wondering how you suddenly got so great at Scrabble. 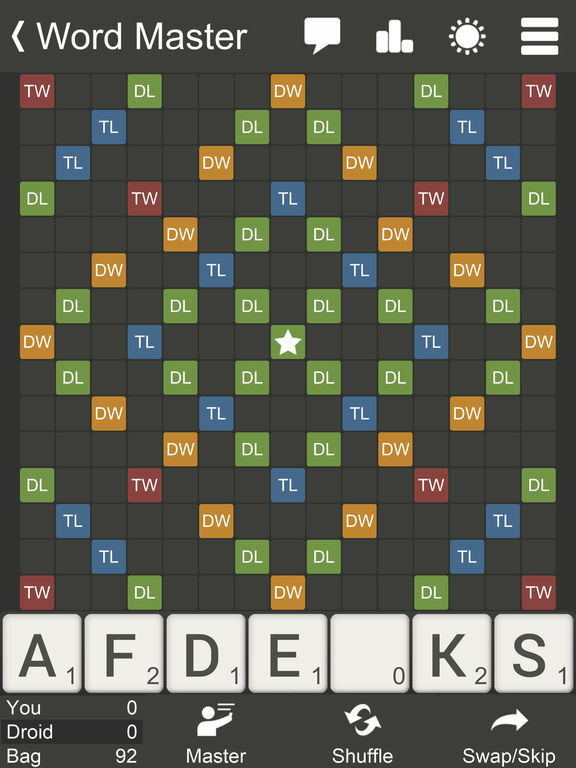 Sure you love the game of Scrabble, but sometimes it's nice to try something new and discover some new free Scrabble iPad apps that take cues from the original game. The Word Master app is a similar experience in that you are given seven letters to work with and they need to be placed on the board. You want to build the highest scoring word possible and you've got the option of playing online against another player, or offline in a battle with your friends. 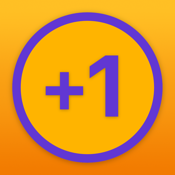 This app is highly addictive and you can complete a game in just a few minutes or spread it out over days as you and your opponent take time with your moves. How many times have you been in a heated battle of Scrabble with someone only to find it gets dragged out into hours. Sometimes opponents can take far too long to make a move, which is why you'll want ot have the Game Turn Timer app on hand. 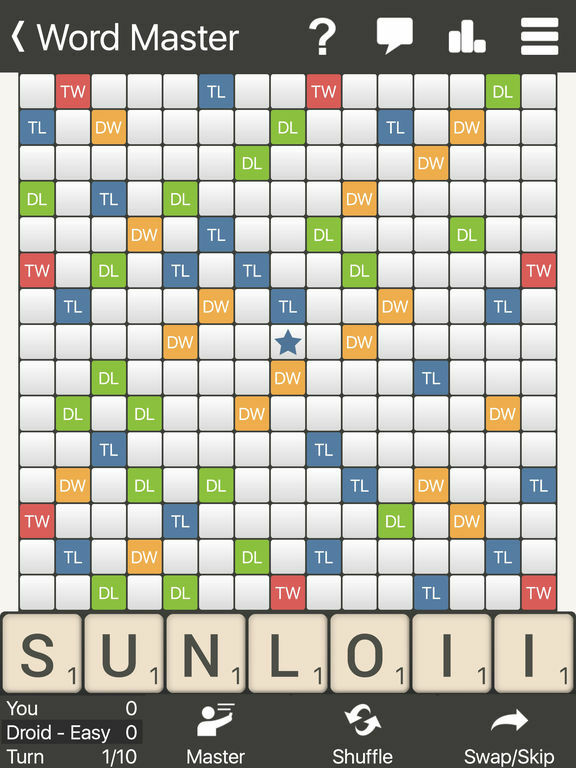 This can prove to be quite the useful free Scrabble iPad app in that it will keep the game moving at a good pace. You can set the timer to either 60, 90, or 120 seconds and when that time is up, your opponent needs to play their word.There are alerts that pop up as the time counts down and there is a pause button if needed.